I have a stomach ache home remedy that everyone should try. But first, What do you do for stomach ache? There’s a lot of medicines out there for stomach relief. It comes in liquid form, pills, and even pretty colors from pink to red shades and flavors. It’s a way to attract customers to purchase for kids who had too many Halloween candies I guess. Or those stubborn spouses who hate the taste of medicines. I am not a botanist, however, I am an amateur herbalist by trade and my mom is my mentor. She is aging and doesn’t remember some medicinal herbs anymore. So I have decided to blog about a herb that I have used and had them growing in my backyard when I need it. I used the dayak onion to relief bloating from consuming food that makes me feel nauseous or stomach aches from out of the blue. Even for bathroom issues but not constipation sorry. That agonizing abdominal pain that just nags at me once in a while. This little onion has been used among herbalist for a very very long time. It looks just like an ordinary garlic. Deep purple in color, however, it’s leaves are long and have ridges. My mom said we can also use the leaves if the dayak onions aren’t fully developed. I plant them in my sandy soil so it looks smaller than it should. Depending on where you live or plant them they look like garlic bulbs but are call onions because and this is just my guess it Doesn’t have a smell to define it. And swallow it follows by finishing your cup of warm water. How to make the powered dayak? It’s really easy. Once you harvest the dayak and washed them let them dry up. Takes about a week. Pound the onions into dust and voila powered dayak. Pretty easy stuff. 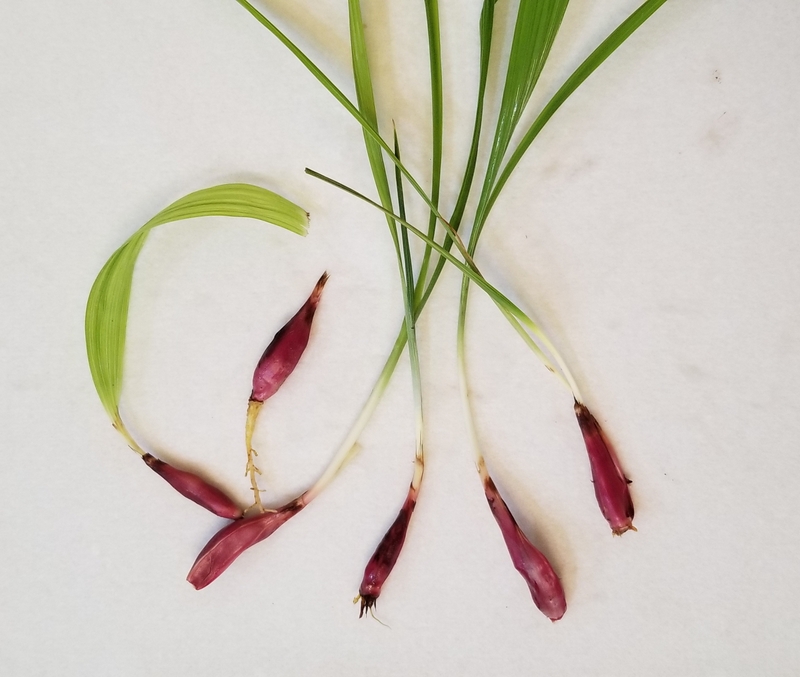 There are many uses of dayak onion. This is how I use mine as a stomach ache home remedy. Anyone else knows what it is also used for please leave me a comment. Disclaimer: DO NOT take any herbal remedy or medications without talking to a professional. Please consult your medical physician or herbalist. There are other form of organic oils you can take. We have CBD oils for everyone who wants to try out our products. We have creams for your beauty needs, vape for you vapers, and if you suffer from pain and anxiety we have that to. Also, great for your pets. Plus other ailments. Check them out here.